Scarlet & Julia recently hit the Canadian e-tailer market in 2014. This chic website offers two different shopping experiences; La Boutique and the Beauty Outlet. Everyone has access to La Boutique, where you can browse and purchase some of your favorite brands; Cargo, Lise Watier, Stila, Ahava, Jouviance, Burberry and harder to find in-Canada brands like Coola. And then there is the awesome Beauty Boutique; a limited-time sale site. Sort of like Hautelook, you have to register and log in to access the Beauty Boutique but let me tell you it is worth it. Members have access to the Beauty Outlet which has exclusive deals up to 70% off retail price. For example; for the next week there are huge discounts on some Lise Watier cosmetics; kits, eyeshadows, liners, crème blushes. 1% of sale for toward Look Good Feel Better foundation. My mother used this program after chemotherapy for breast cancer and it was a wonderful boost to her ego and moral. 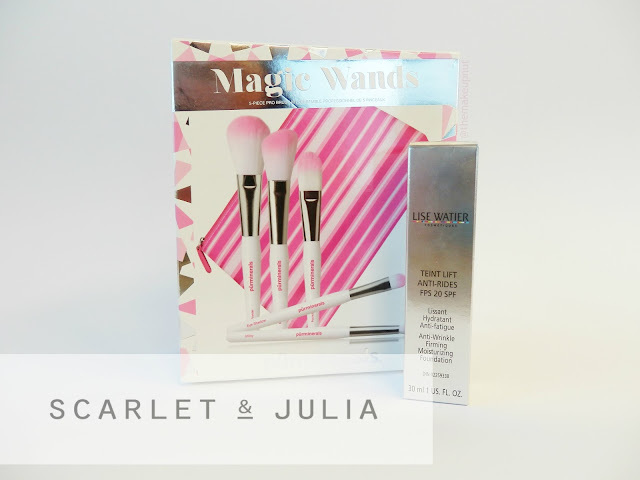 Scarlet & Julia was kind enough to send me a $50 credit to their site so I purchased the Lise Watier Teint Lift Anti-Rides SPF20 foundation* and purminerals Magic Wands brushes*. I had to try this foundation based on its claims. I needed something really smoothing right now. My skin is not excessively dry right now but is extremely dehydrated from recent rounds of antibiotics and steroids from my last flare up. From that process my skin has become very dehydrated and textured. 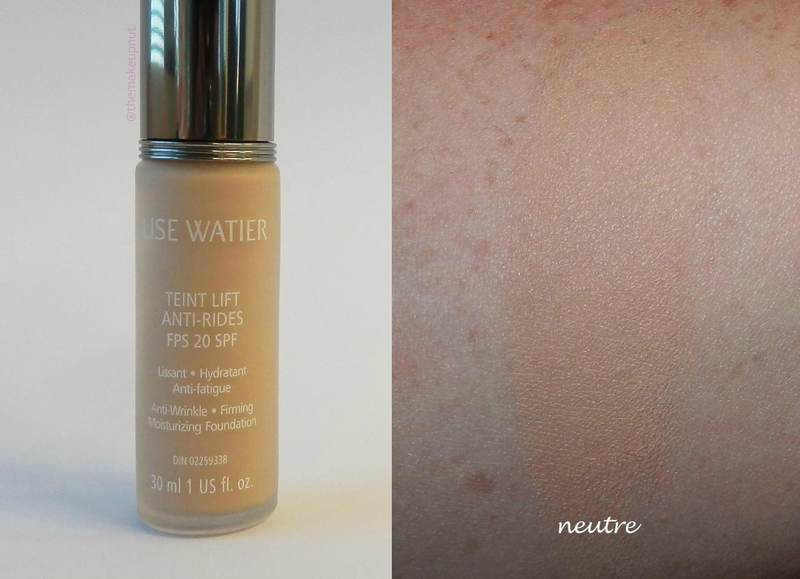 I love the medium to full coverage of the Lise Watier Teint Lift Anti-Rides SPF20 foundation! I chose the colour Neutre which was a pretty good match for my current skin tone. A tricky thing to do when choosing a foundation online! Neutre is pretty light but overall it has a nice yellow neutral base. 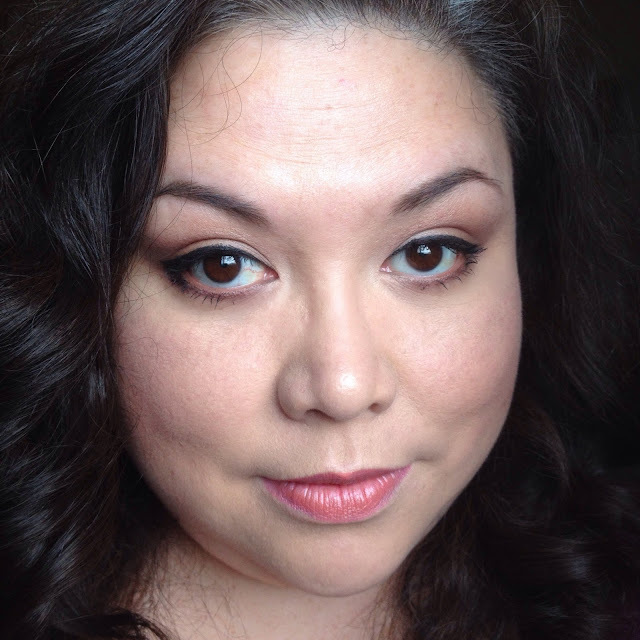 The thick creamy formula was very easy to blend and a little goes a long way. It smoothed out my skin quite well. In the picture below, I didn’t use a primer. But with the use of a primer, it smoothed out on the skin even better. 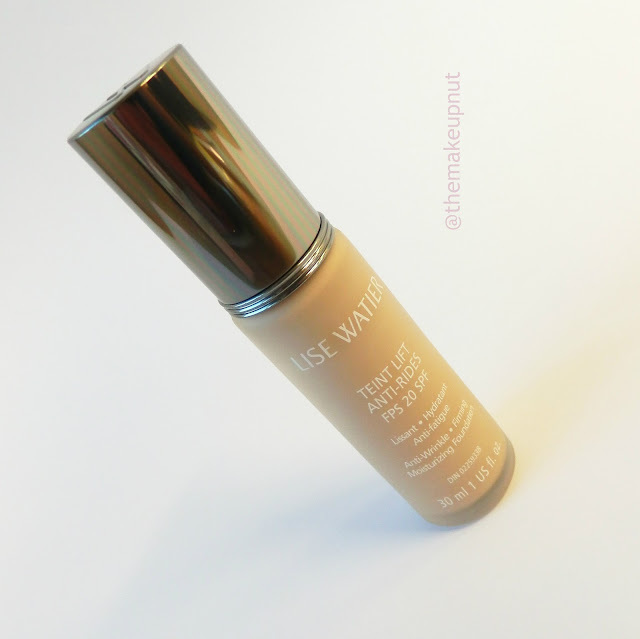 Since it is a thicker foundation, your skin really needs to be moisturized well or it may cling to dry patches. The wear was phenomenal for me. It lasted the whole work day and had only minor wear along my jaw and cheeks after a 14 hour day. That wear was from me touching my face and my scarf rubbing against it. In short, for my dehydrated skin, I am loving this foundation. Okay I totally got this because they were pink brushes! The girly cuteness drew me in. 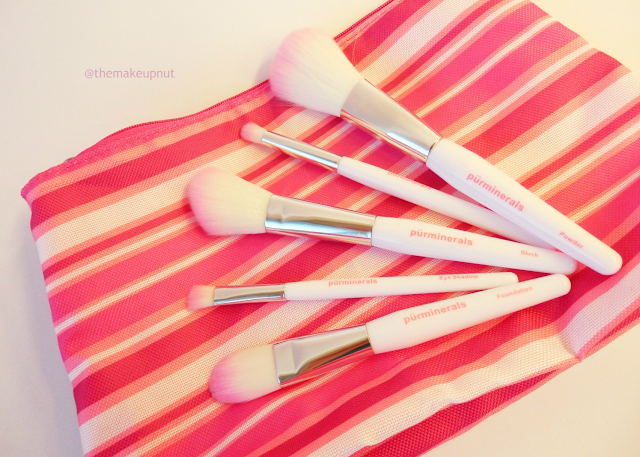 The purminerals Magic Wands are well made, solid and light and all the brushes are super soft and silky. The eye brushes and the foundation brush are dense and flexible, making for great application. The face brush and blush brush were a little too floppy for my liking. I had a hard time trying to control the application. I really only use them just to diffuse or dust off any powder on my skin. The pencil eye brush is now a favorite and comes with me in my makeup bag, which is the purminerals makeup bag now. I love this bag! It’s a yummy summer pink and it fits perfectly in my purse but is large enough to fit an Urban Decay eyeshadow plus all my on the go makeup! It is always great to find a Canadian online beauty shopping site especially a site that has some pretty great limited time beauty deals. At Scarlet & Julia, you get great product selection, some great sales, plus no crazy shipping prices or exchange rates to deal with. There are a few more items I got my eye on... Like the Stila Eyes are the Window palettes. Watch out tax rebate! Have you check out Scarlet & Julia yet? Great post, I've never heard of that site :) It's always nice to find Canadian sites with the dollar being so terrible. The site is designed gorgeously. It make you fee high end. But once you see the deals in Beauty Outlet �� - no exchange rate or crazy shipping costs to deal with. I love online shopping within Canada. So much easier.